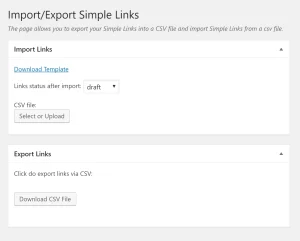 Simple Links PRO makes managing your links refreshingly simple. With just enough options to get the job done, this WordPress plugin is extremely lightweight and easy to use. Here are some features we think you will like. 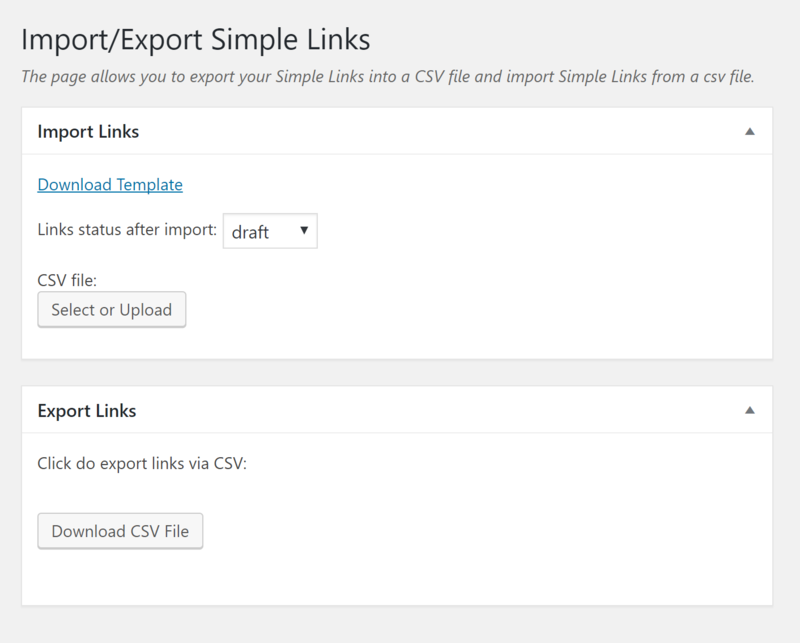 Adding new links to your site from another is a breeze with the csv import feature. Download the template from the admin screen and populate at will. You can use this to bring in links from another WordPress site or an entirely different application! Want to export your links to add somewhere else? No problem, exporting is as simple as clicking a button. Having searchable links means your users will find your links when they search your site. No configuration necessary. Simply activate the plugin and your links will start appearing in your search template. Clicking a link in the search template brings you to the link's url. Now your users will be able to find the important information your links point to. The display by category option is available in both short-codes and widgets. Your links will display under their assigned category and can even be sorted within their category using drag and drop. 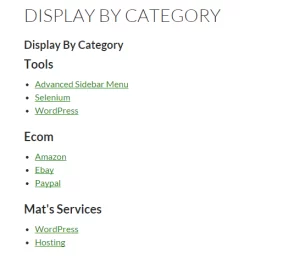 You can choose which categories to display or display them all. 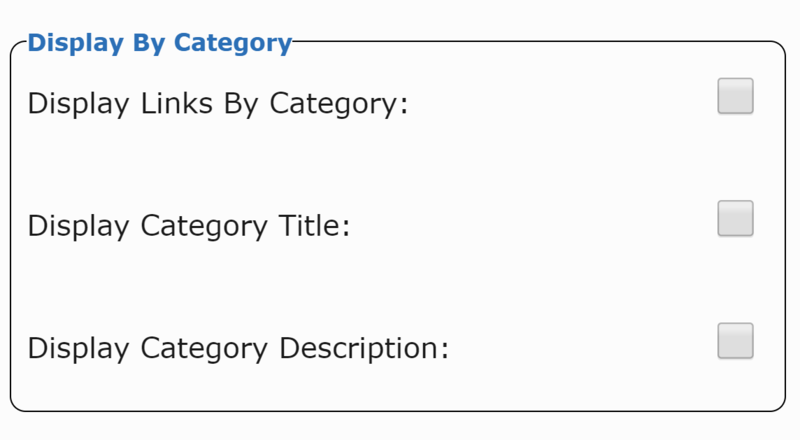 Add descriptions to your categories to display additional information to your users. 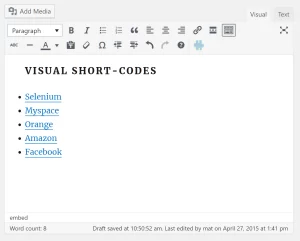 Visual short-codes allow you to see what your links will look like on your site. Simply check a box in the settings to turn this feature on and all your short-codes automatically convert to links in the content editor. No more guessing which links will be included in the list. 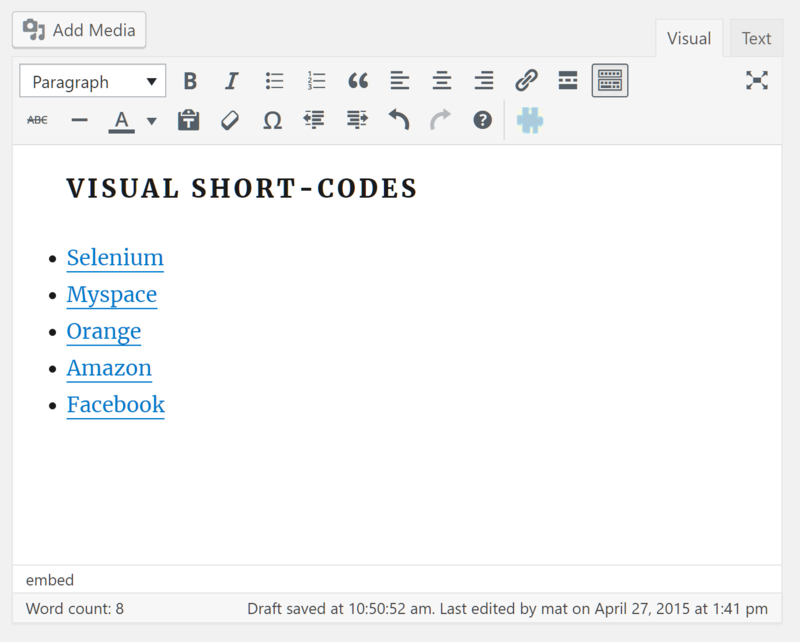 Don't worry, you can still edit the short-code by hovering over the list and clicking the edit icon. You may now choose which links will show up by selecting which categories to use. 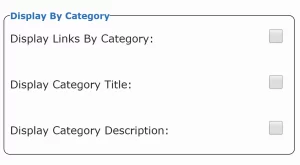 You can require a link to be assigned to all selected categories, assigned to any of the selected categories, or be assigned to any of the child categories of the selected categories. Want to display more than one list on a page with different links? No problem. 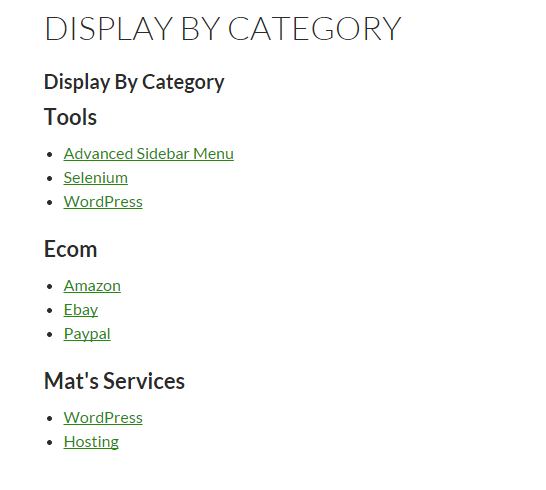 Each widget or shortcode has it's own category selections and may easily be stacked. Priority support is having your own support team standing by to make sure you are successful. Whether you are just getting started or looking to do a one-of-a-kind customization, the support team has got you covered. In-depth troubleshooting, guidance, styling assistance, and extending and filtering, are just a few things included with Priority Support. You also get access to the members only support area. A single one-time purchase gives you unlimited use, plus lifetime support and updates. You may use it on as many sites as you would like without any renewal or recurring fees. Thank you so much for your excellent plugin and your response on the WP forums! The only link manger I could find that is actively maintained. Easy to extend. Works great for my use case.